Shortly after the Indiana University Libraries Scholars' Commons opened in 2014, they established the “Maker Cart”: a mobile makerspace designed to foster creativity and learning around the Bloomington campus without being tied to a specific space. Over the past four years, makerspace outreach has grown to a regularly-occurring workshop series, “Maker Mondays,” which has included an introduction to analog synthesis using littleBits kits, creating original animated short films by painting and etching the film itself, and animating GIFs using Photoshop. 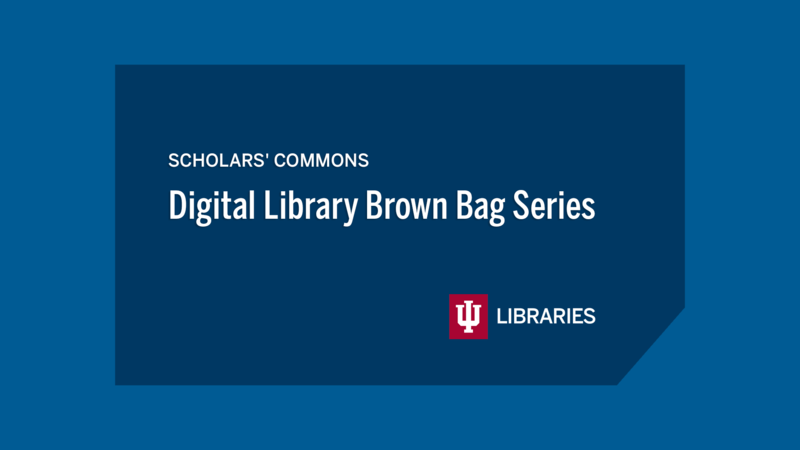 This series has recently included workshops developed collaboratively with librarians who offer digital scholarship programming. Makerspace workshops using this model facilitate community building by interacting directly with interested attendees. Interested interdisciplinary attendees and instructors attend or offer these workshops out of curiosity and interest rather than a specific research need. They feature tangible learning outcomes to be constructed over the course of an hour: an original film, musical composition, or screen-printed object, for example. This presentation will showcase some of the makerspace skills and technologies featured in the Maker Mondays series, discuss how these partnerships have advanced digital scholarship outreach at Indiana University, and offer a forecast for IU Libraries makerspace initiatives into the future.